I want to start out by saying something. I nearly couldn’t go through with this post, because I felt, almost, phony answering these questions. Because the fact is, no recovery is perfect. There are things that I am still working on. There are things that I still can struggle with from time to time. Recovery is a journey, and I don’t want to put on some false pretense that I’m some guru or some Oz-like short guy with a Napoleon complex, flashing smoke and mirrors behind a velvet curtain. Additionally, I’m not a doctor/therapist/dietician…I have no credentials other than a certified procrastinator, so please, my answers are just from the view point of a young woman, who battled a severe case of anorexia, and is now living abundantly in freedom. That being said, I want to thank you all for the outpouring of love and feedback and questions since last week. I was so touched by the stories you shared with me. You all inspire me each and every day. And so I’ve gathered up a lot of your questions – combined/grouped many themes, etc. What provokes one to become anorexic? Is it natural or is it peer pressure? This is a really important question that honestly is different for every person. Inside the mind of every girl or boy with an eating disorder is The Lie. – And it’s different for everyone. But it is a mental tape that plays over and over, and it feeds the disease. Anywho. It sounds incredibly simple, and like — head shakingly basic — but she believes this Lie to her core. Enough to become enslaved to it. Enough to die for. And the key to recovery is to figure out what that Lie is, and to replace it with the Truth – that she is a child of God and gets her worth from Jesus. Anorexia is not something that you just decide to develop because you want to lose weight or become “pretty.” The weight loss is merely a symptom of a deep hurt – a wound that has become a belief system to her. That’s why they say, anorexia is not about the weight. Because even after inpatient and she gets the weight on, usually there is a relapse, because even though she may be physically “healed,” she is still mentally in her disease, and will revert right back to where she was. It’s all about The Lie. What is the link between fasting for God and anorexia? And by embracing recovery, are we renouncing God because we’re refusing to fast? “So. Lent. You can bet your bottom dollar that I won’t be giving up sweets any time soon. And in fact, I won’t be doing any dietary fasting, period. It is detrimental to my recovery to fast, even for one day, even for religious reasons. I have vowed never to abuse my body and withhold nutrients from it ever again. I made that promise to Jesus and myself. And tbh, I think it gives Jesus more joy for me to eat and nourish myself for His glory, than to fast and flirt with the behaviors that nearly took my life ten years ago today. How does a parent help her child work on her healthy eating (and even losing unhealthy weight) while not feeding into ED? This is a tough one. For YEARS during the beginning of my recovery, food was just not talked about. My parents stayed away from the “other four-letter-‘F-Word” with a 10 foot pole. Which was both good and bad. If your daughter is in recovery from anorexia, and has become unhealthy, it is definitely something that will take some finesse and delicacy. If she is still under your roof, you could simply make dinners healthy and light. You could suggest taking a walk together or taking a fun Zumba class together where you can move your bodies in a healthy way. The key is that she’s already self conscious about her new body, and any even slight suggestion that she is “overweight” will scare the pants off of her. I’ll tell you from my own experience that one’s relationship with food will go through many stages in recovery. But that is part of the journey. Going from one extreme pendulum swing to the other is quite common, and will eventually even out. After having lived in a state of such restriction and starvation, she’s getting reacquainted to her “off-limits” foods, and that is a good thing. Keep supporting her. Try not to make comments about her appearance, but rather, compliment her on her character and personality traits. “I like how you’re kind to others. Your heart is so beautiful…” things like that. How do I follow such a restrictive diet (the Specific Carb Diet) without feeding ED? This is a question I get all. the. time. Because you’re right, the way I have to eat (The Specific Carb Diet) for my Ulcerative Colitis is very restrictive. And I resisted adopting this diet for a long time for that very reason. — I was in recovery. I didn’t want to live restricted ever again. But. I was on bed rest for 11 months and it was either try this diet and see if it would work, or get my intestines removed. I was in a dire situation, because my body was rejecting every medication to get me out of a debilitating flare. You can read the whole kit’n’kaboodle here. But I’m not going to lie, it is hard. But I’ve come to learn to eat-to-live, rather than live-to-eat. Food is necessary for life, and meant to be shared with people, and so I focus on the company rather than the meal. But I am diligent about keeping my calories up and keeping my exercise in check so I maintain a healthy weight. How do you deal with extra weight during recovery if you go over your healthy weight range, and even potentially lose weight while still staying mentally healthy? Again, your body will naturally find its set point. There often times will be a period of, shall I say, readjustment. It is pretty common. But it will even out. Your body is learning to trust itself again. It has been living in starvation mode, holding onto calories because it doesn’t know when it would be nourished again, so having that metabolism switch flipped back on can result in some body adjustment. But staying mentally healthy, for me, honestly, I just had to keep reminding myself of the Truth. Reminding myself where my true worth came from – God. On a nuts-and-bolts level, sticking with a meal plan is very helpful. Often times, if you’re working with a nutritionist, she/he will also “prescribe” some light physical exercise. But the body is an incredible processing machine, and so it will find its set point in due time. How do you keep your relationship with food and exercise healthy/how do you break exercise addiction? This is hard, because there will always be reminders of your eating disorder. For example, I will never eat canned tuna again. Or whole wheat low carb wraps. Or an Activia strawberry yogurt. Just too many horrible memories that take me back to a detrimental state of mind. Exercise has definitely been a tough area for me. I had to give it up cold turkey for 11 months when I was on bed rest for an ulcerative colitis flare, and that’s honestly what “fixed” my addiction to it. Because addiction is absolutely what it was. Now, I have a healthy relationship with it. I recognize that physical activity is important, and so I do it in moderation, when I feel like it. No more olympic caliber-workouts meant to punish myself to the point of collapse. I now take a gentle walk for a little under an hour most days. And that’s more for just the enjoyment of moving my body and being outside. I also pray during my walks. So it is mind/body/spirit exercise. How do you stop comparing yourself to other girls’ bodies? It’s nearly impossible not to compare. But I’ve had to train myself to learn to see those girls I’m tempted to negatively compare myself to as children of God, just like me. My worth is not in my outward appearance, but in my heart that is occupied by Christ. When I started seeing other girls the way that God sees them – as His children, with their own hurts and struggles and need for love and acceptance – it really helped. That, and I just try to avoid situations that I know are unhealthy for me. I was asked two years in a row to attend a Fashion Week runway show in NYC, and I declined both times – because I knew that was a triggering situation for me where I’d just be comparing myself to unnaturally thin models. I’m staying away for my own good! Same with watching the Victoria’s Secret Fashion Show…No ma’am!! How did I get over the fear of weight gain and BMI? This is the million dollar question. Seriously. I’m going to tell you a secret. I don’t own a scale. Haven’t for several years. I get weighed at the doctor, and I do it blind because I don’t want to know. And I honestly had to just give it over to Jesus. Which, I know sounds like the biggest bunch of “Bull” ever, but that’s how I got through it. I just clung to Him, because I was paralyzed in fear. I was hungry for love and friendship, and I knew that being a skeletal spectacle wasn’t going to get me either. What was my experience with body dysmorphia? How do you recognize and overcome those thoughts? Binge eating, I’ve come to realize, is something that everybody does. Maybe it’s just on Thanksgiving and Halloween, but the fact is, food is meant to be enjoyed, and yes, sometimes we overdo it. But honestly, our bodies are incredible machines and can handle it every blue moon. However binge eating — on a habitual basis, due to an emotional need, where it’s getting in the way of your life — that is a problem. And yes, I went through a binge period myself, and it filled me with so much shame, I still feel my chest tighten when I think back to that time. You’d wake up in the morning and just feel so dirty and so shameful and disgraceful, and yet during the binge episode, it was fulfilling something that I needed. And that’s the answer – the bingeing is you self-medicating for something you need in your life. Maybe you’re lonely? Or have anxiety about something? Maybe you’re grieving a loss? Whatever it is, the bingeing is your answer on how to exert “control” when you feel you have lost that ability elsewhere. So this takes some serious self-reflection and prayer, to figure out the emotions that are causing the binge. Keep a journal and write down how you were feeling before/during/after a binge. See if you can see any patterns, and try some other coping mechanisms. For me, being with people and being accountable really helped. But what really helped was praying through it. I felt a “binge” coming on…I just started praying. I would think about Jesus on the Cross. Because honestly – this is going to be pretty dang blunt – thinking about Jesus literally hanging there with nails going through His hands and feet for me, dying…made that cookie or that pint of ice cream just seem…well…I lost my desire to binge on it. If there is a person in my life that I feel has an ED, is there a good way to go about helping them? What are some things that someone who loves a person suffering from this disease can say that would be encouraging, loving, uplifting, and open the door to communication? This is such an important question. It’s vital, and it is incredibly delicate and tricky. So here’s the thing. I never actually admitted to having an eating disorder until I was three days into inpatient, and that was only after all the doctors and therapists and dietitians and everyone basically drilled it into me until I admitted it. I was adamant that I didn’t have an eating disorder, and that my weight loss was because of my ulcerative colitis – which was true, to a point. So I think the thing I would say is, be honest. Be open. And be nonjudgemental. Use the words, “eating disorder.” Don’t let there be a stigma or any shame around that phrase. Name it. Because your daughter will pick up on any inkling of “hush-hush-ness” attached to it, and that will deepen the shame that she already feels about her engagement in ED behaviors. And then, I would just listen. Let her speak. Most likely, you’ll get a grunt or a denial. But this opens up the conversation, and lets her know that there is no shame in coming to you when she is finally ready to talk. If things are truly dire, and it is getting to a critical, life-or-death situation, then an inpatient facility is absolutely where she needs to be. How can parents best support a child in hospital? Is the best thing to distract her, read a book, do a drawing, etc? In hospital…hmmm. I think the biggest thing is to treat her like a person rather than her disease. It’s so hard, because there’s so much stress and it’s the big elephant in the room and so pressing, but what’s important to remember is that your daughter is hurting. Underneath the silent treatment and the anger and the lying and denying of food and all that crap that accompanies an eating disorder, is your precious daughter (or son) who is hurting right now. And the weight loss is just a cry for help, and her way of trying to cope with what is giving her pain. So honestly, I would try and talk to her. If you want to do something mindless at the same time, like doing a puzzle or playing cards, sure – but I would just try to get her to open up and talk about it. Share your own vulnerabilities with her to set the stage. The more open and honest and vulnerable you can be about yourself, the more that will give her assurance to reciprocate. What would I say to the girl who has an uncommon recovery, with a highly unstable weight, bouncing from severely depleted, to medically obese several times? Weight fluctuations are definitely common during the “readjustment” period, because again, the body is rebooting its metabolism and learning to trust itself again. Starvation mode is literally that – your body’s way of trying to keep you alive. That being said, I do think it is important to follow a meal plan, especially during the initial season of recovery, because your body needs to remember its hunger cues and what fullness feels like. One big thing for me, was that I never knew when to stop being “full.” And so for me, full meant being “stuffed.” And that became a very triggering feeling that would often lead to a binge. If I find my daughter is secretly exercising or lying about what she eats, what should we do? Ok, so these are both definite red flags for an eating disorder. And I don’t mean to say that to scare you or anything, but these are the two things that I absolutely did. I would definitely confront it, and just ask her why, in a nonjudgemental, safe-space sort of way. If she feels she should be ashamed, it will just delve her deeper into secrecy. What advice for parents do you have on what we can do to help our children with this disease? Some do’s and don’ts? Do: Treat her as a person, not as a case to be “fixed.” Listen with compassion and be there for her. Tell her you’re concerned. Encourage her to get help, and provide her with options for care. Learn about the disease and be prepared to have a difficult conversation about the harmful effects. Pray for her. Express your love for her. Be prepared to stage an intervention if things get dire. Realize that your daughter is being manipulated by the eating disorder, and that the lying, angry, isolated shell of the girl you know is not who she is. She is fighting for her life against a force that is stronger than her right now and needs you – needs your love, compassion, concern, and help. Don’t: Gossip about her or put her on public “prayer request lists.” — She needs to be able to trust you. It’s her story to tell, not yours. This is one of the biggest things my mother made sure not to do, and her keeping that trust intact was so so important and vital to our healing. Don’t scrutinize every calorie ingested, or weight. Don’t comment on her appearance. Don’t say things like, “You’re better than this. Or What will the neighbors think? Or how can our daughter have an eating disorder?” – or other things that send the message that there should be shame attached to her suffering. Don’t label foods as “good” or “bad.” Don’t engage in power struggles over food. How do you handle poor body image when it creeps back into your life? Great question, because honestly, this is still an area that can trip me up. And so my advice: give the mirror a break. I know that may sounds pretty drastic, but if there’s a day where I’m not feeling that great about myself, I know that the best thing for me is to not stand there and scrutinize myself in the mirror with such negative self talk that would make a sailor blush. I try and remember that I am more than a body. I am a soul…a heart and mind that love Christ, and that I have a beauty that goes beneath the skin. Other simply practical things…on those bad body image days….don’t go clothes shopping. Not good. Also, avoid tight fitting clothes, and be with supportive people. Lastly, do something that takes the focus off of yourself – do something nice for others. And pray. Can you give a parents’ “Watch For List”/early signs of things that they should be aware of that may be signs of ED in their son or daughter? Aside from weight loss… Withdrawal from activities and social engagements. Disinterest in things. Often having excuses for missing meals, or having “other plans” to eat with someone else (read: I already ate with Susie. I’ll get a hot dog at the football game. i.e: not with you.) Denying hunger. Dressing in layers. Being cold all the time. Obsession with food – talking about it, going shopping for it, watching the Food Network/reading Pinterest recipes/Tasty videos at an unhealthy level. Obsession with calories/exercise/diet/fat/body image. Overexercising. Talking about calories or the need to “burn off” what she eats. Denying dessert. Not wanting to go out to eat/eat in public. Having a rigid/strict regimen. Cooks meals for others without eating. Going to the bathroom directly after meals. Loss of period. Fatigue/increase of sleep. Conversely, a spike in hyperactivity — always needing to be moving, jittering, “going.” Refusing to eat certain food groups. Eating with food rituals, like patterns, cutting food up into teeny tiny pieces, lots of chewing, absurd amount of liquid with meals. Dry skin. Cold hands. Fine body hair. Struggles sleeping and going to the restroom. Loss of hair/falling out in clumps. So there you go. I pray that these offer some hope and answers for those who need it. And this is actually a great time to announce that my first book is going to be released next month, and it will be talking about many of these topics and offering a hands on, work-through approach for those suffering, as well as insight for loved ones. I’m really excited about it. I wish there would have been something around like it when I was suffering – it would have really expedited my healing process. Previous Post Auditioning for The Bachelor? Wow! Wonderful information, Thanks for sharing!! I enjoyed this post! I’m actually writing a post right now about my story of how I trust Christ with my weight, but I’m still debating on posting it. For me, I’m unable to gain weight, and a year to six months ago, I let this rule me. After I ate, I would weigh myself, and if I didn’t gain, I would eat more. I would weigh myself constantly all day, and it was as if the scale was ruling my life. I would look at other girls and then look at myself in the mirror and think of myself as “too thin” and “not like the other girls.” However back in November, my mom and I threw out the scale! Though I had a stumble last month, I didn’t let it define me and I’ve realized that my worth is in Christ, and that’s the most important thing! I learned that some things may be out of our control, but we have a Savior who has all things in control. This is excellent. I love the way you reach out and help people. And I love the concept of fasting off of negative thinking. Wishing you all the best! You’re freaking brave girl! An inspiration for sure. I also love that you had faith in Jesus to get you through! Thanks for sharing. I have been in recovery for almost 13 years. It is “one day at a time” and more about progress than perfection. Keep working it. Thank you for this post… I’ve never had an eating disorder, but I have struggled with body image because my knees are bent when I walk and to me, that is not beautiful. But whenever I got self conscious about it, I would pray. And this post just encouraged me and reminded me to always remember that I am His daughter! Please always remember that you are fearfully and wonderfully made, and He loves you so much! Thank you for being yourself and sharing openly about all you’ve gone through. Truly inspirational! God continue to richly bless you and use you mightily as you make yourself available to those who are hurting and struggling. That’s the JD I’ve come to know and love. Great job. How do you ever manage to be so brutally honest about something and remain entertaining and lively at the same time? I know I don’t comment much these days, but so many do. Just know I am always in awe and am always inspired to be a better me because of the words you write so eloquently. Your reliance on, and trust in, Christ is unwavering and you always glorify and magnify God while teaching others and reaching others. With much love and admiration…………………. First of all, you are amazing and brave for putting this all out there. Thank you so much for sharing this with us. As a mother to a 19 month old girl, I am pretty ferocious when someone comments on her. She is small for her age because she had complications from a blood disorder that we are frankly still dealing with today. I will not allow anyone to say anything even remotely mean. I know she may not understand now, but Lord help me, we have done so much in the first year of her life, I feel like they are trying to make me feel bad too with out knowing what we went through. I have a friend who was anorexic because of something her dad said to her at like 10 years old. She has fought tooth and nail to get healthy again. She is amazing too. I worry about her because she is a young woman in her twenties and is dating and everything. I worry that someone will be insenstive to her. I am frequently talking to her, making sure she is okay.. but the truth is I live on the other side of the country and if something was wrong I would not know unless someone tells me. I pray for her several times a day, just as I pray for you now. Great post as usual — brutally honest, very inspirational and informative. Congratulations on the book coming out next month — that’s awesome! Praying it gets into the right hands. Continued blessings to you as you bring glory to Christ with your life. Amazing. I like your voice here. The book! That’s so cool. I’m really glad you um, do this. When ED hit a friend of mine I wished there was a book to give him, too. I don’t know why I’ve always been okay. I’d just hug him and…try to help I didn’t know what it was I was 19. You don’t have to be perfect I think you’re pretty great as you are. A huge task is knowing how to tell your story. The other parts fix themselves. That sounded conceited of me. I’ve known my problems and how to deal with them. Haha. I am very happy for you and wish you the best. Out of the mountain of despair a stone of hope. MLK. First, is this a recent picture? Wavy hair instead of straight. You look good with it! The “Crack” you may hear is the sound of you sending this one over the outfield fence…with a vapor trail behind it! To quote from the movie, “Major League,” – Anything that goes that far should have a stewardess on it! (PLEASE tell me you’ve seen this one?!? That was powerful! Thank you for sharing. Truly can empathize. This topic is a struggle within my immediate family and extended family as well. Thank you for being a positive voice. I love your answers. As much as you’ve gone through, you stay humble and not to claim to know it all, but give your honest perspective yet helpful answers. Many parents would really appreciate them. You’re an encouragement to many! Thank you so much for sharing your story and all of this information! As a mother of girls, this is so important and helpful for me to know. Congratulations on your book coming out soon! I have nominated you for the Liebster Award. Go to my link Faithlovesoul.wordpress.com for award details. Blessings! You so deserve it!!! I love reading your blog and your sincerity with your posts! Your willingness to open up like this is so inspiring! I wish the people in my life would have read something like this when I was struggling with anorexia. Being non-judgemental is key. The way I was approached caused so much anger, even though I know my family was just afraid for me. I thank God every day for coming out stronger. I love reading your story! I just wanted to comment, I thought this was so brave of you to post this, and it was really inspiring. I really hope – scrap that – I’m certain that what you had to say is able to help someone else out through their road to recovery, or through dealing with a loved one with the same issues you have experienced. I only just this past week found out about someone close to me having had an eating disorder, and nobody ever suspected it because her occupation kept her so fit and ‘healthy’. The comments certain people have made to her since she came out with it have been shocking enough that if it were me, I do not think I would be strong enough to keep up the road to full recovery, so hearing what you had to say from the ‘afflicted’ (didn’t know what other word to use) person’s perspective is definitely coming at the right time for me as I try in all matters to be careful with my words and what impact they may have on others, and I have been stumbling to keep from saying all the wrong things. Thank you for sharing this. Regarding Fasting… in agreement with what you wrote, a number of other health conditions make Fasting [food] an unsafe practice, such as diabetes. Your approach to Fasting non-food things (activities, etc.) is just as powerful in the Christian life. When Jesus said that mankind was not made for the Sabbath, but the Sabbath was made for mankind (Mark 2:23-28), He was reminding us of His priority: our healthy relationship with Him. You continue to amaze me… God is blessing you and using you in wonderful ways! Hugs and love to you sweet Lady! Dear Carolyn. I can’t even read this post or listen to the podcast. I say that out of respect for you. It’s a hard subject to deal with and I can’t bare the thought of you ever suffering like that. So without reading the blog. I just want to say. May God Love You, May God Bless You, May God Hug You Everyday. A is that your nickname for me now? I am Canadian so in my language do mean A as in Anthony or A as in Ehhhhhh really? Love this post. Recovery is a journey. Thanks for sharing your story. You are brave to be so honest. I’ve always had mixed feelings about Lent and dietary restrictions. One can find other ways to observe the spirit of Lent besides dietary restrictions. This was a really brave thing for you to write. Know that I’m sending a hug, and you are not alone. Thank you so much for your honesty. God will continue to be the strength of your life as you inspire others by your kind and honest words. Smiles here. I think, why it comes to become addicted to certain habits we have adopted: referring to our weight, to consum of alcohol, smoking cigaretts or falling into any “traps” that life offer us – maybe due to our sensibility to find something in our life that is worth to bring us “happiness”. When doing so, we fall into a kind of swamp: the more we struggle to come out of it, the more we are captured in it – it is something where we have to learn to let go with what our attention was dealing with and struggling with – it also reminds me on a swimmer swimming close at the shore – the waves automatically draw you in deeper water and this is what happens when once we have unnoticed transgressed a certain line in which the power beyond this line draws us in “deeper water”, in deeper troubles.But this whole process is so slow that we do not feel it… only then when our life is threatened – and maybe the hidden wish to find something in life that gives us more than what normal people want – to be prepared even to go to extremes maybe this is the hidden “trap” “waiting” for us, leaving us in a state of paying a price for such a challenge… However, when coming out of this “mud and swamp” – we come back stronger than before and we have learnt our lessions. Thanks for sharing – I still feel proud of you that you could escape such an awful disease. You are so honest. So real and so relatable. I look up to you in so many ways! Keep inspiring others girl! You have a gift for sure! I’ve said it before, and I’ll say it again – You are AMAZING. This post is so valuable and important! You are helping so many people by sharing your story and your experiences! Congratulations on your forthcoming book! You deserve all the accolades and praise. Keep doing what you’re doing – Your writing is so valuable and respected (at least by me). Heya, Caralyn. I’m struggling with some guilt myself and hope that maybe you can help me. So the big lie in Judaism and Christianity that women have to deal with (and maybe I shouldn’t feel guilty about this but I can’t help myself) is that they were responsible for the fall. You know, we can’t be loved if we’re perfect, because if we were perfect we’d be God, and God is love, and love can’t love itself because that’s just circular. God looked at Adam and said: “He’s lonely. He needs someone,” and God gave him Eve and Adam DIDN’T PAY ATTENTION to her. He didn’t feel her slipping away. He was too busy being important doing GOD’S WORK in the world. And what kills me is that you still yearn for us, that you still pray for a man to be given to you. That tenderness and vulnerability still works in you and seeks to see strength and goodness in us. And I am amazed and awed at the glory of God and the perfection of the gift he brought to Man through Woman. Another valuable contribution to the information on recovery and survival. You got it right when you outlined that your answers come from your experience. Eating Disorders are the manifestation of an emotional or psychological need therefore many caring friends and family members are very concerned because they feel they will do more damage by saying or doing something to upset the suffer. Experience has taught me that acknowledging the obvious often encourages disclosure. If a friend breaks a leg and it is in a cast, by acknowledging the cast am I creating a trauma or giving them space to explain how it happened and the healing time. I suffer from heart disease, I choose to ignore it but when others remind me that I could be doing too much it isn’t because they want to stop me enjoying myself but a reminder they are there to help and support. So to parents and friend (I do speak from experience) be ready to talk, most of all listen and share the simple truth that the person living with the eating disorder is not defined by it. Strong answers to some interesting questions. I have a few thoughts about this. Firstly, I used to do a small fast on a weekly basis (not complete fast but only bread and water until 6 pm). I managed the fast for months and felt that it helped me focus on God. However, after a few months the partial fast became almost physical impossible. I got headaches, nausea and dizziness even though I drank lots of water and was still a healthy weight. What I didn’t realise at the time was that my daughter was beginning to have problems with an eating disorder and although I didn’t know it consciously, I think this was my body’s or God’s way of saying that fasting wasn’t appropriate anymore. Secondly, your thoughts on what to say to someone with severe ED are interesting. We have felt most close when talking about my own struggles with mental illness or just pointing out that other people in the family have also had their struggles (although I haven’t said too much about it since that is their story). I have been told to avoid talk about appearance or weight or food as this just feeds into the ED. I also know I can’t be her therapist and don’t want to be, but talking about goals or my own inner struggles and vulnerability does seem like a place to help her open up. This is so hard. Sometimes I almost lose hope and lose sight of my daughter. She pushes me away and tries to pretend everything is okay while still either avoiding food or trying to get rid of the food she eats. However, I hope and pray that there is a way through. Thanks for answering these questions. How valuable it was, especially for the sake of my daughter, to read your experience and advice on this issue. Also, I am someone that has Crohn’s disease and have to follow a very restrictive diet. I see some of the tendencies you have descibed here within my ownself. Thanks for providing me a better understanding and an awareness to a serious and life-threatening disorder. How beautiful that you learned to find your self-worth through Christ! Nothing will ever provide the comfort and peace He provides. With that confidence, may we both prayerfully push forward in our infirmities! Sorry I didn’t read all the way through this one but it’s good you trying to help others through your recovery and teaching others on what you learn from yourself and from others also, because theirs people that don’t like book smart collage grads that never been through experience of things and try to help other people out when they never been in the same spot themselves on it. I’ve been down my own road of addiction with a much different vice, but addiction all the same. I can never imagine it being from food or the lack there of. I am so thankful God brought you out of it and is using your story for His glory! So beautiful! 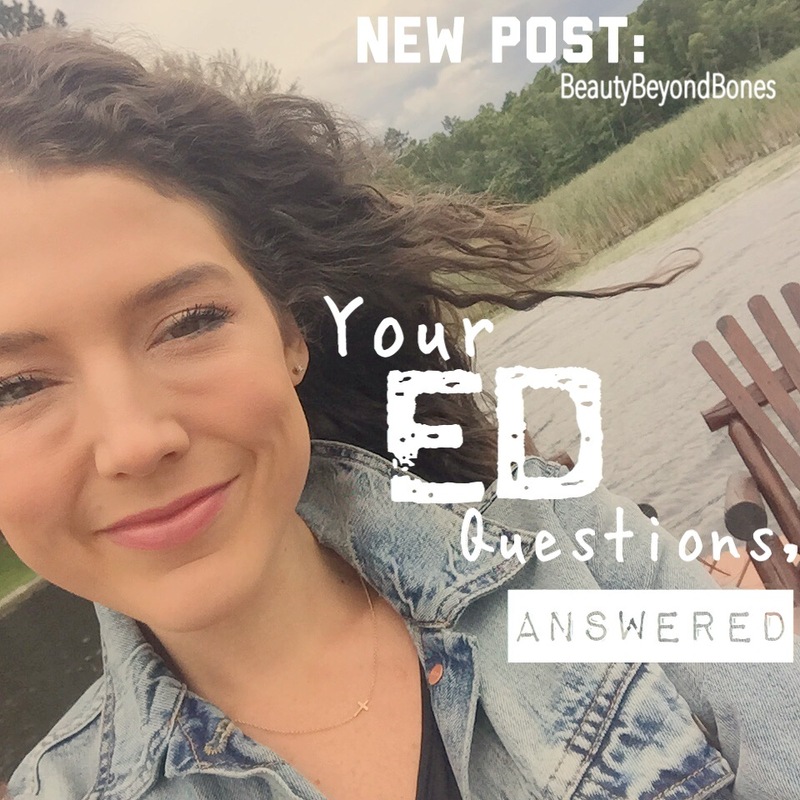 These Q&A’s were an eye opener for someone like me who had no previous understanding of ED. Thanks for being willing to share! You Are Awesome! Nuff Said. 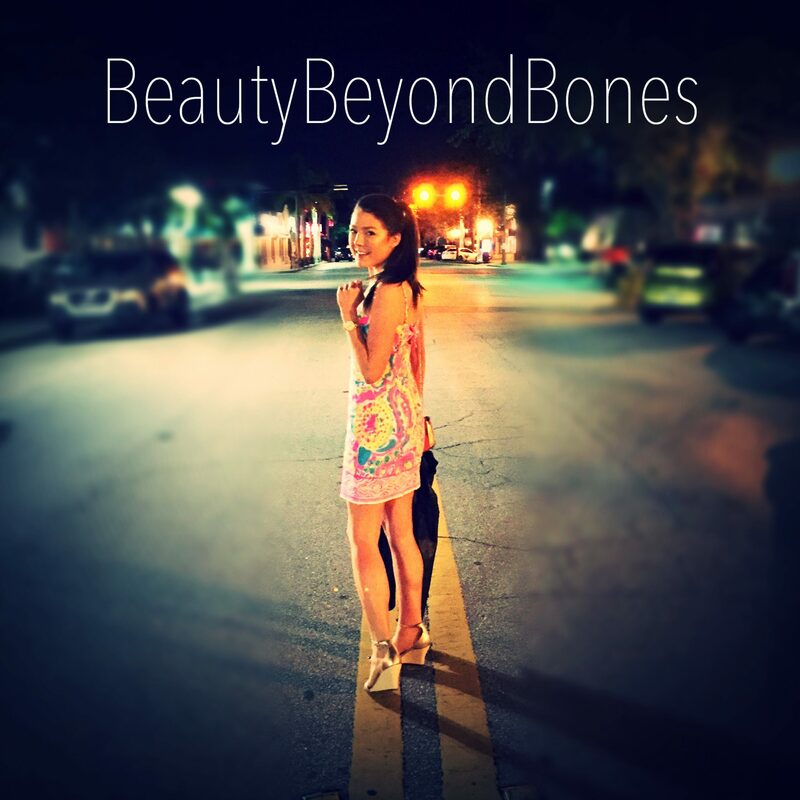 My favorite blogger, Caralyn of BeautyBeyondBones, posted a fantastic entry last night; she had been prompted by the idea of answering people’s questions about Eating Disorders. Last night she answered those questions by category, and I found it to be a great perspective on dealing with ED’s. If you have an ED and are looking for some perspective from someone who has been there and back, here it is. Even more frustrating is knowing someone with an Eating Disorder and not having the faintest idea of how to talk to them, HELP them. Caralyn gives a lot of great information from the perspective of someone who, at 78 pounds, almost died her first night at in-patient. She knows whereof she speaks! She goes to lengths to point out that she is not a clinician, which is an important note, but her voice is authentic, and her perspective is a rare one from someone who sank so low and made it back to health. She doesn’t like to brag, so I’ll have to do it for her: she was recently named one of the 25 top bloggers on the entire worldwide web dealing with anorexia. This is great help for everyone, thanks for taking the time to do it. 🙂 I never knew much about anorexia and now I am well informed about it in case it happens to anyone I know, so I can lend a hand and then point them to your blog. Oh good!! Yep definitely conversion!! Thank you for your continued openness and knowledge ! Bless you ! What a powerful and empowering post, as a mother with a young girl, I feel it is so important to teach her from a very young age about healthy eating habits, loving your body and focusing on overall health and not a number on a scale or a certain size of clothing. I have so many body insecurities and tend to use food as a scapegoat for anything and everything. Recently I realized (with a shock), that my habit of constantly weighing myself and taking photos of my food (my food diary) rubbed off on her and she is not doing the same. I hope to take some your the advice from this blog and try even harder to ensure our daughter grows up loving her body. Beautifully well written and very informative. A sure go-to-guide and helpful resource if I should ever need it for my daughter. Thank you Caralyn! Thank you for this great post! I’m one year into recovery, and I still face so much of this… I can’t wait to read your book! Wonderful post! I love that you’re this open because you’re inspiring so many people out here today. HUGS from this side of the world. A brave and inspiring post. Thank you for sharing. It’s so important to talk about these issues, de-mythologise them, breaking taboos. This post will have really helped someone. What a brave and honest post. Thank you for sharing your journey, however difficult. Just want to say thank you. Not sure what stage of my daughter i in now。 Wish i can learned all this when i first found out she had eating disorder. Thank you so much for writing this. Your story (and the fact that you have the courage to tell it) is so inspiring! Courage, candor, caring, in the now. Your blog is your life journal. A combination of intellect and emotion. Diaries used to be private, secret, hidden thoughts. You seem to be able to expose yourself effortlessly, gracefully, eloquently, especially after your ED struggle. You are so easy to acknowledge. WOW, thanks for taking the time to answer so many questions. Very clear and very honest. I appreciate your courage. Loved your blog! Glad you are posting for all of us to be inspired! Peace. You are so welcome : ) I have a couple of your new posts to catch up on, which I look forward to : )! yay!!!! thanks again, you seriously rock so much!!! It is exciting that your blog is an important influence in its field. Just as exciting is your announcement that you have written a book. While it won’t be easy, you are doing quite a bit to help round out fascinated bloggers who look up to you, and I will think what is around the corner in your endeavours is worth checking out.